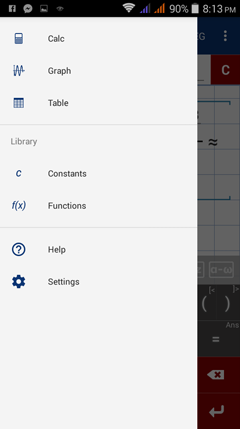 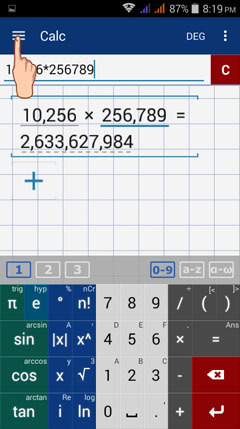 1) Tap the leftmost side of the calculator screen to see the different options. 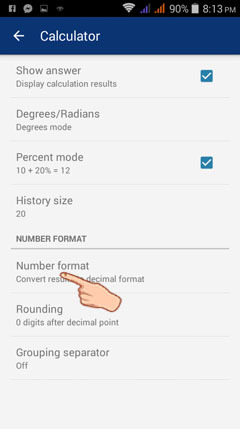 5) Tap on the number format that you want to use. 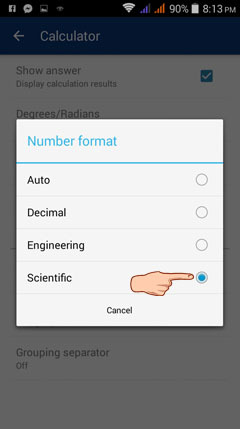 Available number formats are: Auto, Decimal, Engineering, Scientific. 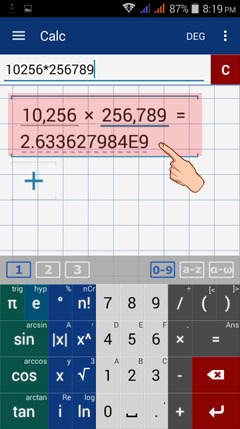 The result is now displayed based on the chosen number format. 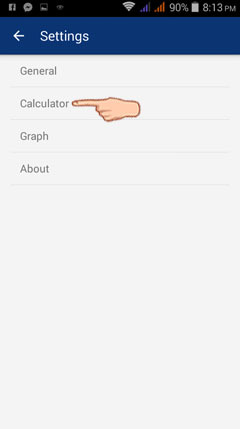 next: how to set up separators between thousands?